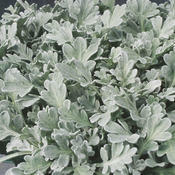 Silver-gray foliage nicely complements flowering plants. Plants may be sheared to shape. 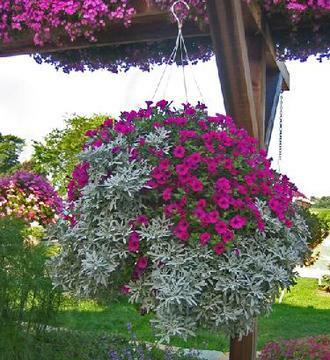 Plants will have a tendency to look ugly after blooming. A hard prune once it is done flowering will keep the plant looking good long term. 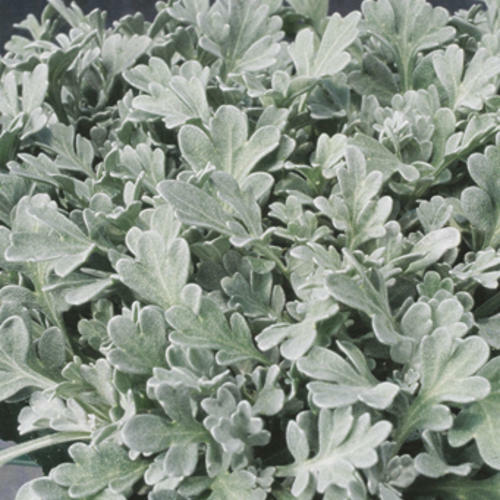 Love this plant because the foliage is so different. I disagree about the height though. 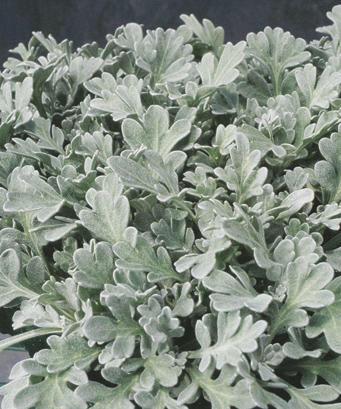 Mine, in the garden grows closer to 12 -14 inches which is perfect as a middle sized plant. I even leave it in the ground well into winter. This plant added a wonderful color and texture to my garden. I am excited to see if it will return here next year as we are in a pretty cold zone. Low maintenance, fast spreading, great for borders. Silver Cascade brightened the border of a mounded perennial garden beautifully. This year I'd like to plant more of them and fill in between some perennials...it's a favorite! This plant is an excellent compliment to the Warsaw Nike Clematis I planted it beneath. Shades of purple and silver make a high impact container.